Elliott Wave Technician Blog: Which regions of the world have the greatest potential ? Which regions of the world have the greatest potential ? 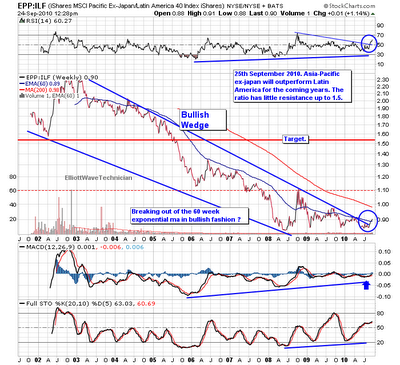 Asia Pacific Ex-Japan is turning up relative to Latin America. Technical analysis of the stock market in these two regions, comparing them long term. 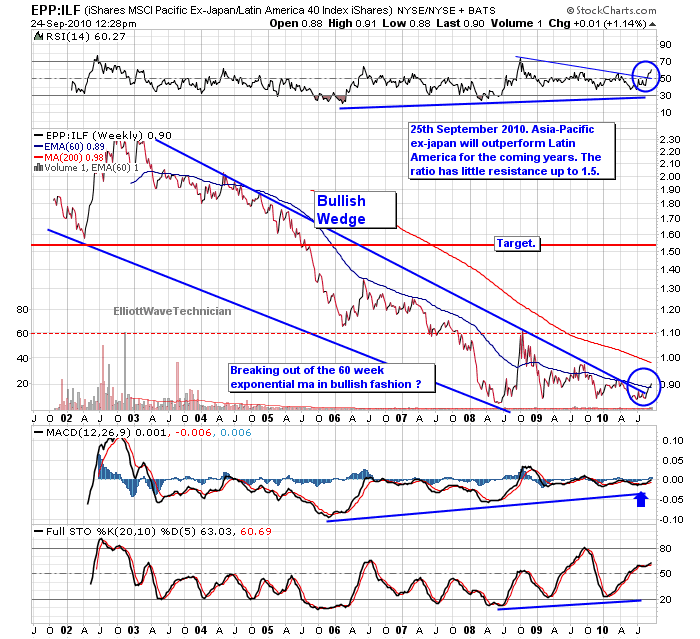 Asia Pacific Ex-Japan is turning up relative to commodity producers like Latin America. Since the decline in the ratio lasted a decade. Asia could outperform for years to come. The above is an extract of our investment newsletter published 27th of September 2010. See more about other financial markets in our latest ElliottWaveTechnician September 2010 Investment Newsletter.